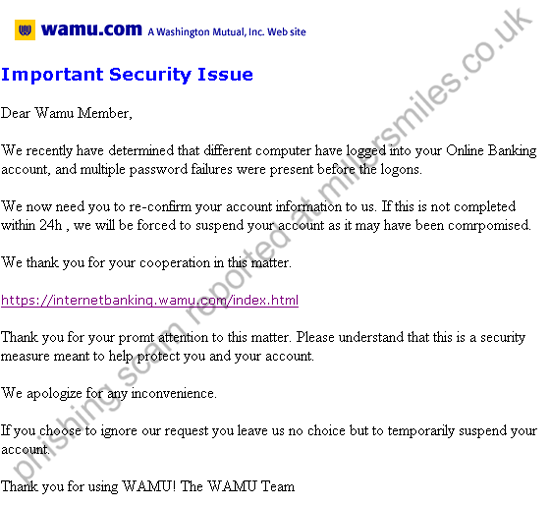 Washington Mutual - Urgent Security Notification! 3. URL disguised by various lines of text... and https://login.personal.wamu.com/logon/logon.asp?dd=1. This looks secure (https) but isn't! 4. Real URL obviously not WAMU. 5. Website traced to Johannesburg, South Africa.
" 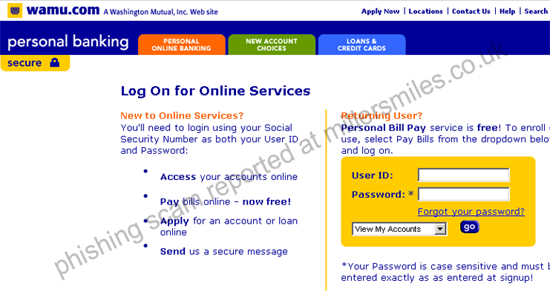 We recently reviewed your account, and suspect that your Washington Mutual Internet Banking account may have been accessed by an unauthorized third party. "